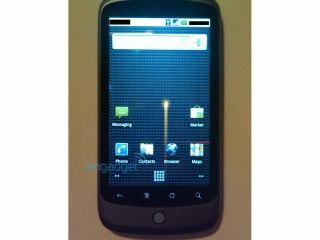 Google Phone Nexus One sheds multi-touch? The much-fabled Google Phone / Nexus One (depending on your chosen/legally forced standpoint) apparently has a raft of different features you might not have expected. Blogger 'Tnkgrl' has had a good play with the device, and the main things she noticed were an upgraded UI and no multi-touch support. The latter isn't too much of a shock, as other phones have debuted using Android (which can support multi-touch) but haven't used the capability, such as the HTC Magic and Motorola Droid (in the US at least). The new UI sees Google apparently sticking a 'wider' home screen on the device, meaning you'll get five displays to fill with icons when scrolling from left to right. Another good thing to note is that the Google Phone (which seems likely to be a re-badged HTC Bravo) is fast - this means it snaps along when trying to work on multiple things at once, as well as removing the judder which annoys so many on a plethora of today's handsets. A hi-res OLED screen was also confirmed, so when you combine that feature set with a (possible) bit of a marketing push from Google, as well as a rumoured GPS dock accessory, you can see why it's worth getting excited by this phone. Admittedly, the camera isn't the best apparently - but hey, it worked for the iPhone, right?